If you are in need of a major sewer repair at your home, place of business, or investment real estate in the St. Louis, Missouri area than we have some good news to share. You no longer need to hire a plumbing contractor that employs the use of the traditional excavation method. You no longer need to worry about dealing with those loud, obnoxious, and environmentally unfriendly digging machines. You no longer need to sit idly by as your lawn, trees, bushes, flowers, mulch beds, driveway, patio, walkway, sidewalk, or parking lot are ripped apart. The days of ruining your landscaping and hardscaping with a long, deep, and destructive trench can absolutely be a thing of the past. You no longer need to deal with the stress of being unable to use the bathrooms or any of the water for that matter for weeks on while you pertinently wait for the repair to be finished. Last but certainly not least you no longer need to watch the repair bill keep adding up. 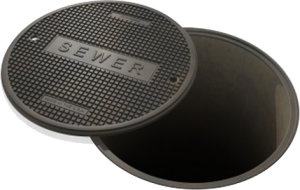 Thanks to recent developments in sewer repair technology residential, commercial, and industrial property owners can take part in a far superior process. Trenchless sewer repair was invented approximately fifteen years ago. Since that time Nu Flow Technologies has perfected the method by incorporating the highest quality standards with the most technologically advanced equipment, tools, and materials. The Nu Flow pipe lining technique offers property owners in St. Louis, Missouri a non-invasive permanent repair solution. It does not require a long, deep, and destructive trench that runs along the entire length of the sewer pipeline. Only a small access point is needed instead. A high-tech machine, developed by Nu Flow Technologies incorporates the use of the access point to install a tube inside of the sewer pipes. The tube contains an inflatable air bladder and is covered in a felt that is soaked in a specially formulated epoxy resin material. The tube is set in place and inflated allowing for the wet epoxy resin to completely cover all interior surfaces of the sewer pipeline. The tube is then deflated and removed. Once the epoxy resin hardens or cures in place a brand new pipe is formed. In essence the new pipe lines the existing sewer pipeline. The new epoxy pipe takes care of any existing problems, such as breaks, cracks, and leaks, and prevents additional issues from occurring. It will last for well over fifty years, so property owners will not need to deal with major concerns related to the sewer pipes for a very long time. The Nu Drain can be installed from start to finish in as little as one day, and costs approximately fifty-percent less than the traditional excavation method. As you are now aware trenchless sewer repair is the fastest and most cost-effective permanent sewer repair solution available on the market. Nu Flow Technologies is an expert at it. We are here to help you any way we can. Please contact our company for a free estimate or for further information.